12 days after Pulwama attack, India had launched a counter-terror operation against JeM training camp in Balakot. The next day, PAF retaliated and downed a MiG-21 in an aerial combat and captured its pilot Wing Commander Varthaman, who was handed over to India on March 1. New Delhi: The Indian Air Force (IAF) sources on Friday reiterated that Wing Commander Abhinandan Varthaman shot down Pakistan Air Force F-16 aircraft 7-8 km inside Pakistan Occupied Area in Sabzkot area there. The IAF sources was reacting to US media report which contradicted its claim of shooting down a Pakistani F-16 during an aerial dogfight on February 27. The IAF sources also confirmed that radio communication of Pakistan Air Force intercepted by it confirms that one of the F-16s that attacked India on February 27 did not return to its base. “Indian Forces have confirmed sighting ejections at 2 different places on that day(Feb 27). The two sightings were at places separated by at least 8-10 km. One was an IAF MIG 21 Bison and other a PAF aircraft. Electronic signatures gathered by us indicate PAF aircraft was a F-16,” the IAF sources stated. Earlier in the day, two senior US defense officials with direct knowledge of the situation told the Foreign Policy magazine that American personnel recently counted Islamabad’s F-16s and found none of the planes missing. “The findings directly contradict the account of Indian Air Force officials, who said that Wing Commander Abhinandan Varthaman managed to shoot down a Pakistani F-16 before his own plane was downed by a Pakistani missile,” the report said. Following US media reports, Pakistan military had called on India to “speak the truth” about the “actual losses” after the US media questioned India’s claim. Pakistan military spokesperson Major General Asif Ghafoor said it was time India came clean on “false claims”, including the second aircraft shot down by Pakistan. “Truth always prevails. Time for India to speak truth about false claims and actual losses on their side including the second aircraft shot down by Pakistan,” Ghafoor stated. 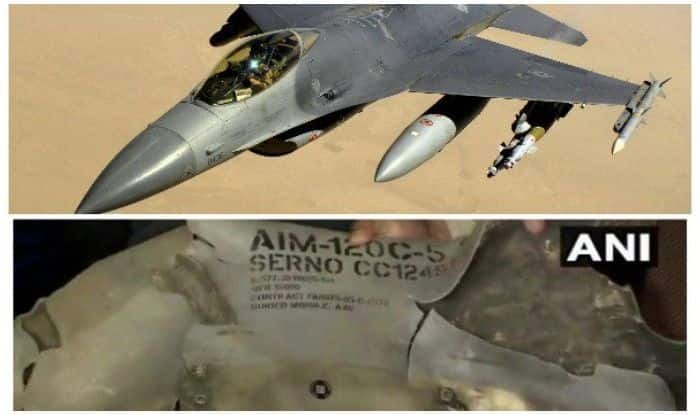 However on April 1, Pakistan military spokesman Maj Gen Asif Ghafoor had indicated that F-16s might have been used to hit Indian fighter jets during the aerial combat on February 27. In a statement, he said Pakistan had the right to use “anything and everything” in its self defence. “Even if F-16 have been used as at that point in time complete PAF was airborne including F16s, the fact remains that Pakistan Air Force shot down two Indian jets in self defence,”he further said. On February 28, the Indian Air Force had displayed to the media pieces of the AMRAAM missile, fired by a Pakistani F-16, as an evidence to “conclusively” prove that Pakistan deployed US-manufactured F-16 fighter jets during an aerial raid targeting Indian military installations in Kashmir.